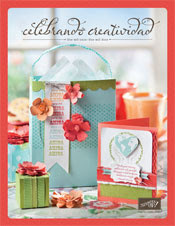 Loves Rubberstamps Blog: Brand New Catalog! Browse the new 2011-2012 Catalog Online! 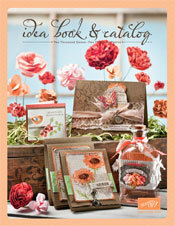 If you would like a hard copy of the beautiful new Idea Book & Catalog shipped to you, contact me! Catalogs are $9.95 with free shipping to the U.S.
Once your wish list is ready....place your order here! If your wish list is pretty lengthy consider becoming a Stampin Up! Demonstrator get all of your future purchases at a discount! Stampin Up! has an awesome $99 start up offer from now until July 31st AND you would get a FREE $40 Christmas Keepsake Project! Promotion Details: It's always more fun to stamp with friends! The limited-time $99 Starter Kit is the perfect choice for the lover of Stampin' Up! products. Use this exclusive Starter Kit to share the opportunity with your friends and hostesses who want to get the products they love at a 20 percent discount. Plus, when you sign up in July, you will get a Christmas Keepsake project kit absolutely FREE–a $40 value! This exclusive kit contains everything you need to create a beautiful Christmas Keepsake Box to hold your most treasured Christmas memories. Contains over $180 in products and business supplies–including new products from the 2011-2012 Idea Book & Catalog! Download our $99 Starter Kit flyer here. The business supplies in these promotional mini kits will be the same business supplies that are in existing starter kits; no alternative selections can be made for business items.